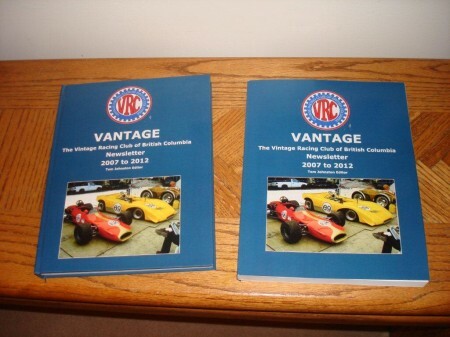 Vintage Racing Club of BC | New Vantage Anthology Published! 22 Nov New Vantage Anthology Published! Just in time for your letters to Santa, Editor Tom Johnston has compiled an anthology of the seventeen (17!) VRCBC Vantage Newsletters from Summer 2007 to Autumn 2012. There are two versions; a soft cover version in black and white and a hard cover version in full colour. Getting a copy couldn’t be easier. Go to the Vantage Newsletters page under the About VRCBC menu – or just click here – for the details.